VJ Technologies (VJT) provides Pipe & Weld inspection systems and services. VJT Digital RTR and Digital Radiographic Inspection Systems are widely utilized to verify welding integrity and enhance manufacturing process control. 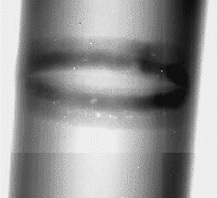 Defects such as porosity, cracks, lack of fusion, undercut, and inclusions can be found in welds quickly and objectively with using advanced VJT X-Ray inspection algorithms. 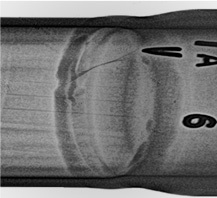 VJT weld inspection systems can be integrated directly into the manufacturing process to allow semi-automatic real-time x-ray inspection providing pass/fail assessments with minimum operator intervention.